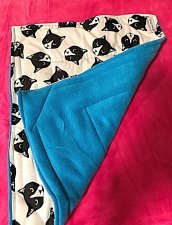 Adorable kitty mat/bed for your furry feline comfort. Blue fleece lines the bottom and the top is a snuggly flannel. 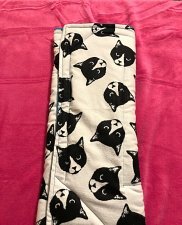 Designed for kitty comfort!